The Oliver show team has moved to Bangor Maine ! We are in Campsite #15 at the Pleasant Hill RV Park in Bangor Maine. Call 479.243.5450 for directions if you like . We are looking forward to seeing you ! 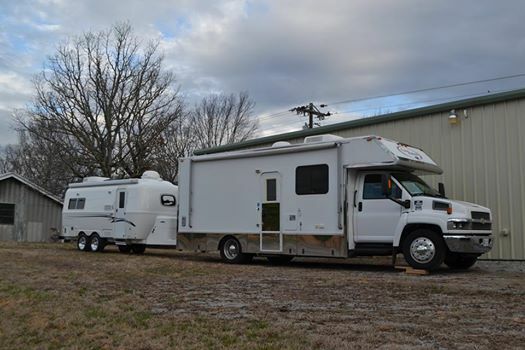 2014 Oliver Legacy Elite II IS SOLD ! SOLD ! SOLD ! Call the factory to get yours ! The Oliver Website is incomplete, wish I could have seen the 2014. I have seen another one that was customize for a couple online. It was truly amazing. The Mountainborn chronicles is not working at all. So sorry. Hope everything gets going again soon. wish you all the best. Our tour with the Oliver Legacy Elite II has came to a end. We made a South East and Gulf Coast and Eastern and New England loops, logging on ten thousand miles on the Pony Express ! Now our focus is on catching up on Family events and fishing. Our first thing to do was to get the boat out of the barn, washed off, oil changed and refueled. New traps are rigged up and ready to use. The old trap is on the bottom, the new ones will take up less space on the boat. 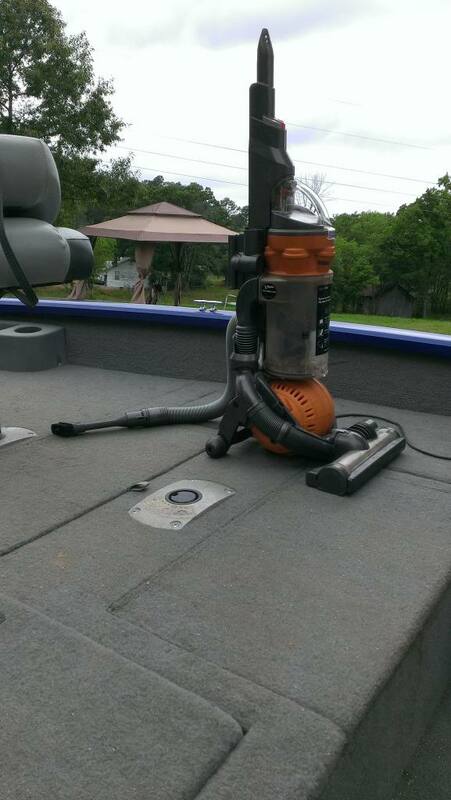 Between thunder storms the boat needed to be vaccumed out. 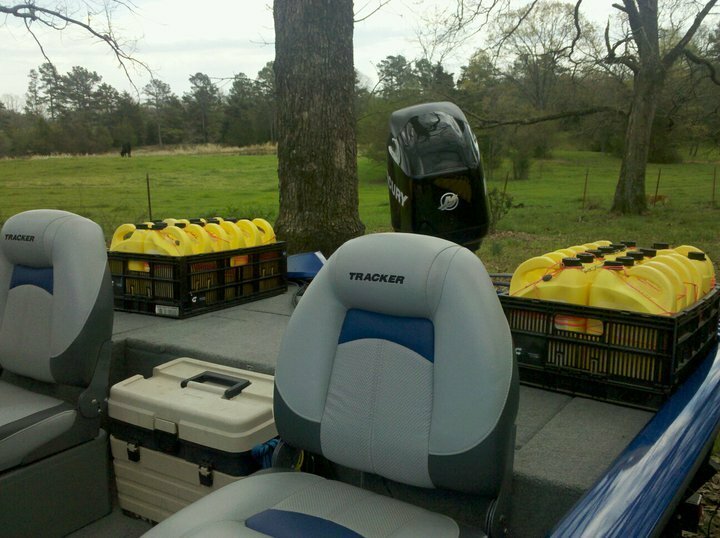 The jugs checked and loaded. Now, if the weather will just give us a break, we’ll get the boat out on the water for the first time this year !